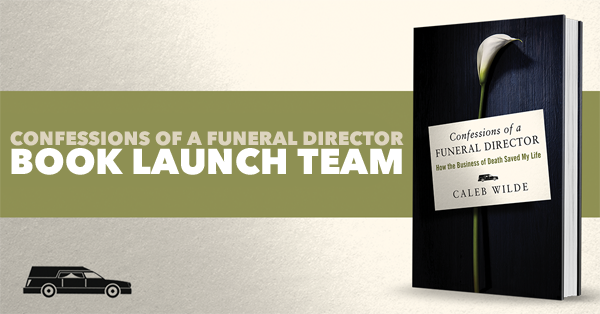 My first couple years in the funeral business nearly destroyed me. Growing up as the son of a funeral directing family, I had danced around death for most of my youth. 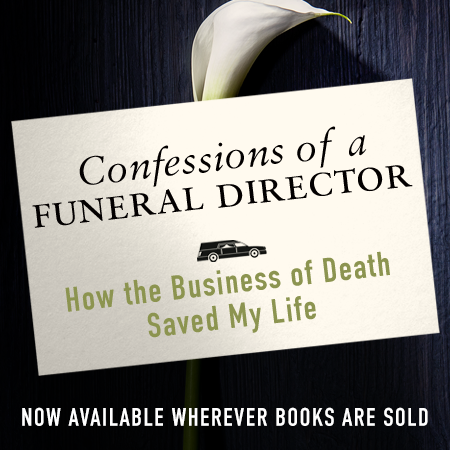 When I finally danced with it upon full-time employment at my family’s funeral home, all I could see was darkness. I had a death negative narrative, a pair of lenses that viewed death as devoid of goodness and full of fear. I suppose most of us do. The rise of the cold and bony Grim Reaper began during the 14th century, as the Black Death swept over Europe leaving anywhere from 25% to 60% of Europe’s population dead. Those infected suffered high fevers, seizers and possible gangrene of the extremities. Such an awful death produced a fear among the healthy, who regularly abandon their affected spouses and children. 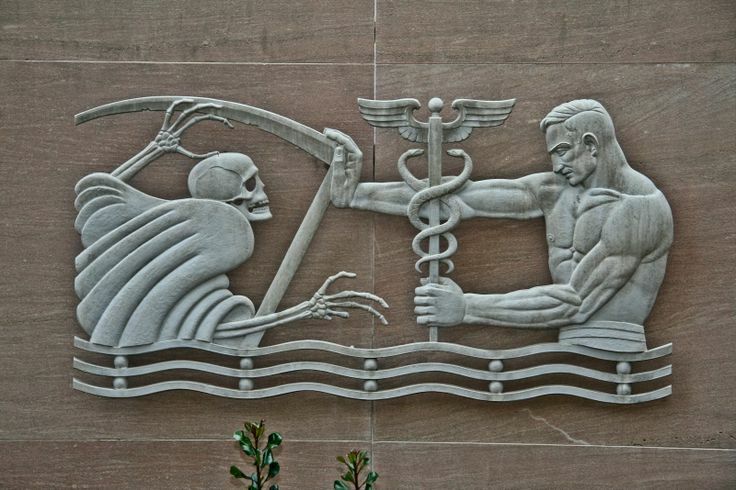 Not surprisingly, Death was depicted as the Grim Reaper, a bony figure with no flesh and no feeling with a scythe that mows down the living with reckless abandon. What is surprising is that this personification of Death didn’t die out with the Black Death, but remains THE depiction of death in Western culture today. Death isn’t the Grim Reaper. It isn’t unfeeling. It isn’t subhuman. Marzanna is death personified in Baltic and Slavic lore. Unlike the “Grim Reaper” with the bony hands, or other popular personifications of death, Marzanna takes on the gender of a woman, as she’s not only associated with death but the rebirth of death in nature. 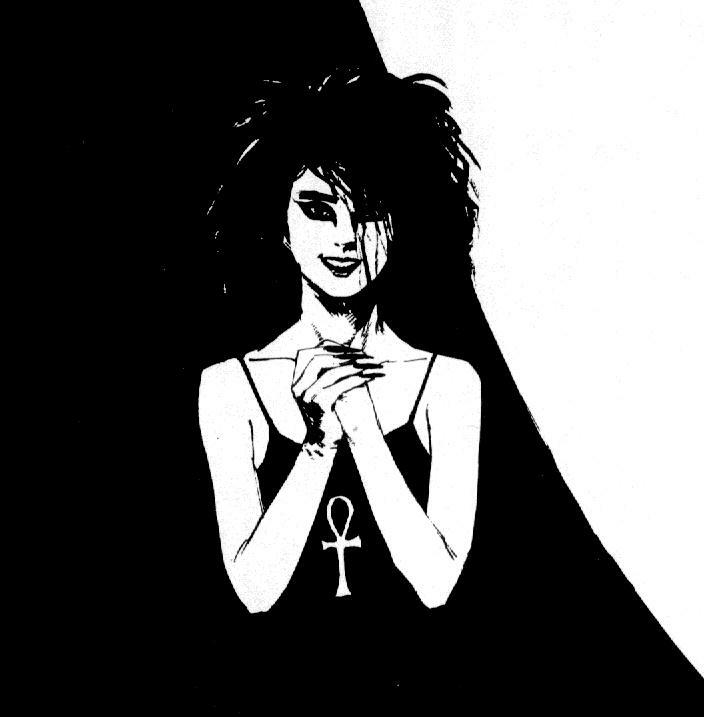 Neil Gaiman brought a Marzanna type depiction to his comic book series, The Sandman. Gaiman’s Death is a beautiful, youth goth woman who is kind, relatable and nurturing. She’s nearly the exact opposite of the Reaper, a welcome sight to be sure, and one that continues to be a fan favorite. As much as I like Gaiman’s personification, there’s another personification of death that comes from St. Francis of Assisi (1181/1182 – 3 October 1226) that is more intimate still than Gaiman’s Death. Assisi’s “sister death” is a visage of death that asks us to see death as intimate, as something we’re deeply related to. It’s not some scary, distant creature of evil like the Grim Reaper, although neither is it a happy, painless experience. It isn’t something other than us, it’s a part of us. Death is ours. If we’re looking for the face of Death in a narrative that isn’t death negative, it’s St. Francis’ Sister Death, a face that closely resembles our own. This reframing helps us interpret life’s end as something not cold and distant, but something that is entirely human. Death, after all, is ours. 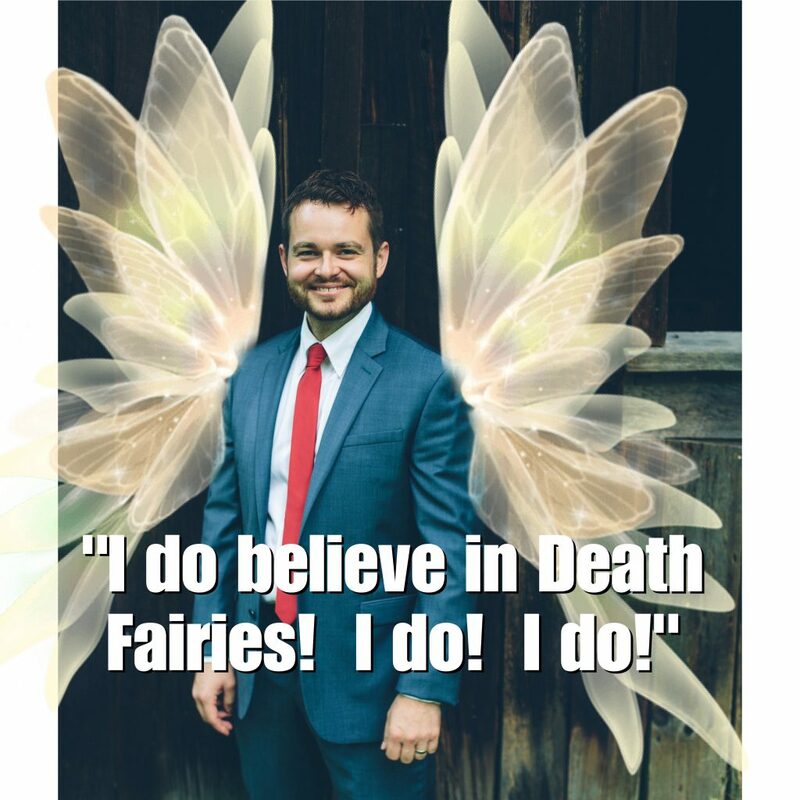 And I do believe if I had entered my dance with death with a different image, a different personification of Death, my view of it wouldn’t have been so disheartening. How we view death influences how we experience it. It’s time for a new visage, and maybe St. Assisi’s figure can help. Pre-orders are super important for newbie authors like me. If you’ve been on the fence about pre-ordering my new book, here’s an incentive: if you pre-order between now and next Monday, you’ll be entitled to FREE STUFF. 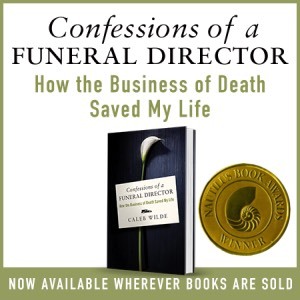 No, I’m not offering a free funeral, but I am offering a free 10 part video series on Death Spirituality (promo video below). The entire series is about 50 minutes long and covers ten ways that death inspires us to be more human. If you do those things, you’ll be entitled to 50 minutes of me talking about how death and mortality inspire us to a more authentic, generous and empathetic self. Authors and their books are similar to Tinkerbell. We can’t just survive on our own power. We’ve got to have people who believe in us in order to survive. Without that belief, without people buying our words, we enter the dark hole of oblivion. 1. Inclusion in an exclusive and secret Facebook group where I’ll be doing regular Q&As about the book (the Facebook group link will be sent to you when you sign up for the launch team). I WILL ANSWER ALL THE QUESTIONS! 2. You’ll receive early access to my entire book. We can talk about what you liked, loved and didn’t like about my book in the Facebook group. 3. A free fanny pack with my face on it. 4. The satisfaction of believing me and my book into existence. 1.) If you join the Launch Team and haven’t pre-ordered the book, please do (because pre-orders ignite excitement in the publishing world). 2.) Once I give you access to the advanced reader, read the book. 3. Leave a review on Amazon on the release date of September 26, 2017. 4. 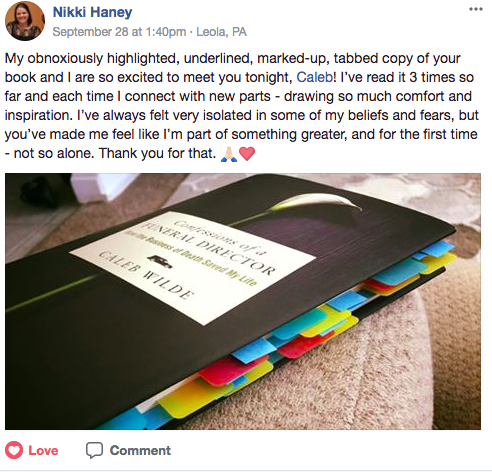 If you like the book, share the love on Instagram, Facebook or wherever else you find yourself on social media. So, that’s the deal. It’s not a huge commitment, I’m just asking for your soul! Bwahahahah. No, seriously. I do need your help and would appreciate any help you can give me. UPDATE: The launch team is full. Thanks for your interest! No worries, friends, I didn’t solicit a random corpse to *play* the dead person in this video. The esteemed actress was none other than my wife, who willingly agreed to play the part because she really, really, really loves me (and I promised her infinite back rubs for the next calendar year). With that aside, here’s the promo video for my book. It captures the heart of my words. Love you all and thanks helping me launch this book and its message into the world.